Happy Tuesday. It is a late night post for me. Most of you are probably seeing this on Wednesday. My day has been out of wack with a cuddly Prince. At least he was good today, he just wanted to cuddle or be near me, that is until Dad came home then he wanted nothing to do with me. He is 100% a daddy's boy. 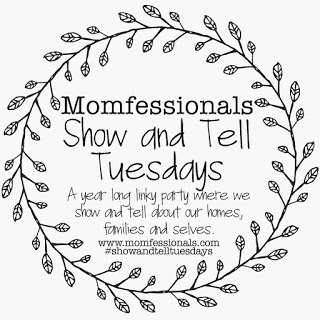 Today I am linking up with Andrea over at Momfessionals for Show and Tell Tuesday. Twice a month, we show and tell on a different topic. Today is all about Whats in Your Bag. Before having 2 kids I was a huge bag lady. I have always carried a purse, the bigger the better. 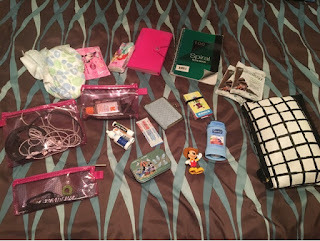 When my kids had diaper bags I kinda weaned into having my essentials in the diaper bag so I didn't have to carry two bags. When I was working I would also have a huge purse with everything possible in it. Since having two kids I have somewhat tamed it down. I went for a while just with a wallet. Now I am back to a cross body purse, which makes it so much easier to chase kids, or carry them. Currently this is my purse of choice. 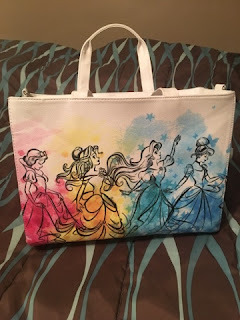 I purchased this last year from the local Disney store before we went to Disney World for Ella's birthday. I also normally have a extra packet of Shakeology, but used it the other day and forgot to put a new packet in. (I did now) At times you will also find random cars, snacks, the kinds drinks, my kindle, activity books, and who knows what else. I will squeeze whatever I possible can in it. This is my I need everything purse. I bought it at Disney World, with the matching wallet, last year. 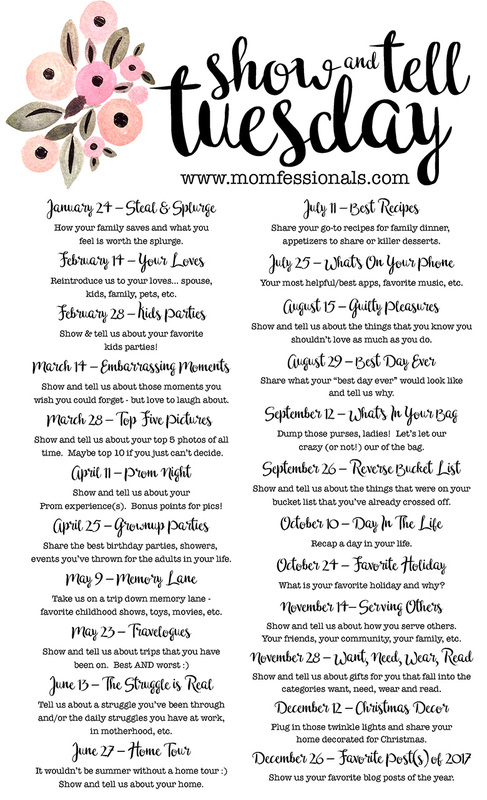 I have to admit it hasn't been used since I became a stay at home mom. I realized I had no pens in my purse so I did add a few. 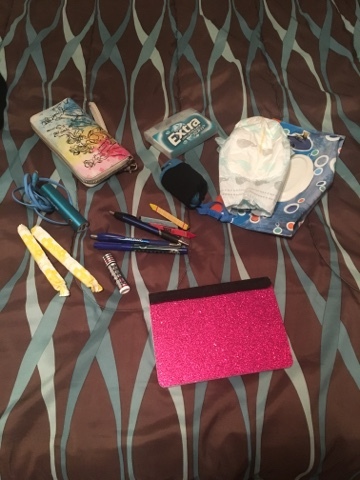 What good is a purse with no pens. Reminds me of Sweet Home Alabama. I'm a big fan of BIG bags, I like all of my stuff with me. You are right, it's a black hole for stuff. 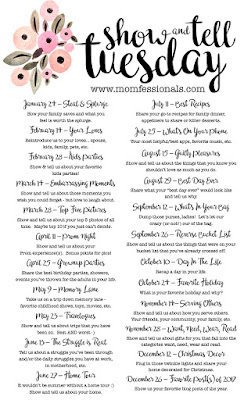 I love how you organized yours! Thanks for sharing! 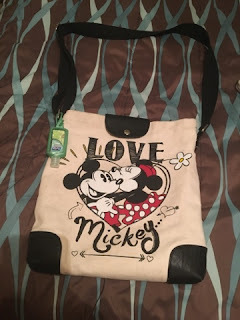 I love big purses too but before I know it, it weighs 20 pounds! Ha!